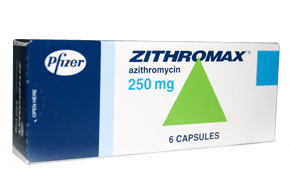 The most common side effects of Zithromax (Azithromycin) are nausea and headache. Severe side effects are rare. However, if you believe you are experiencing dangerous side effects to this medication, you should consult your doctor for an alternative treatment plan. If the medication is stopped abruptly, it may be ineffective for treating your infection. In many cases, these side effects can be treated, making them manageable throughout the course of the medication. If any of the above side effects occur, you should consult your doctor for treatment. These effects may not be related to the drug, so it is important to examine the issue with your doctor and determine a course of action. Increased sensitivity to the sun is one of the potential side effects of Zithromax. While taking azithromycin medications, it is best to avoid excess exposure to the sun. If you must be out in the sun, use sunscreen with a minimum SPF of 30 and cover as much of your skin with clothing as possible. Your sensitivity to the sun may not be noticeable immediately, but could manifest in a painful sunburn later. Potential side effects in relation to pregnancy and breastfeeding are largely unknown. Zithromax is categorized as Category B medicine in regards to pregnancy. This means that is has not been studied in pregnancy but appears to have no adverse effects. Your healthcare provider can help you weigh the benefits and potential risks of the medication if you need to take it. Zithromax is a safe and effective antibiotic treatment for most individuals. Azithromycin and Zithromax side effects are generally mild if they are noticed at all. Patients who take the single dose form of this medication may experience side effects so briefly that they cannot be conclusively linked to the medication. If you do experience strange Zithromax side effects, it is always important to consult your doctor for treatment or a change in medication.